@OfficialNyarlathotep, I suddenly feel hungry. @OfficialNyarlathotep, I get what you were going for, but it was Skinner that did operant conditioning not Pavlov. @Drsirmrguy, oh shït it's the facts police! Run bois! Useful to know tho, thanks! Why work harder than the minimum requirement? 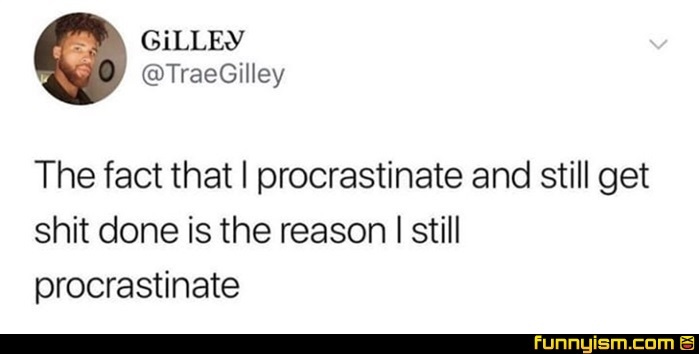 I procrastinate and constantly pay for it, yet I still do it.